Arrow Season 5 Episode 14 Spoilers, Air Date, Promo: The next week’s episode of Arrow’s fifth installment will witness the return of not one but three villains. The upcoming segment is titled ‘The Sin-Eater’ will witness China White, Cupid, and Liz Warner aka Lady Cop seeking revenge from The Green Arrow aka Oliver Queen. Here we have some of the spoilers of the next chapter in the fan-favorite TV series. Read on to find what would happen in Arrow S5E14. Don’t read further, if you don’t want to know about it. The upcoming episode will take a strange turn when cops come to arrest Mayor Queen for the murder of Detective Malone. The official synopsis released by the network comes with teasing shockers and surprises for our hero, Green Arrow. According to the Arrow 5×14 synopsis, three female antagonists will break out of prison to take Oliver down. They are after him because he was the one who locked them into the Iron Heights. 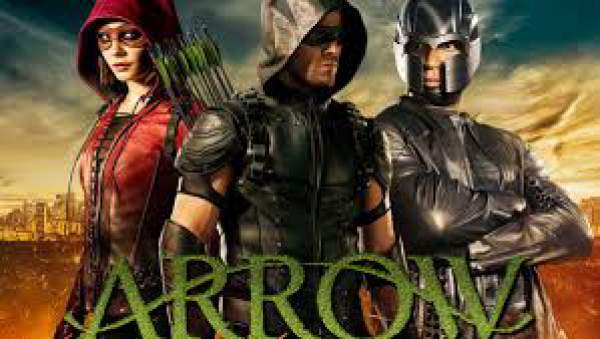 The trio will head to the Star City to take revenge from Oliver Queen, their archenemy because he defeated them and handed over to the police. The three villains will team up to bring Oliver down. S5E13 shifted the focus away from the Prometheus storyline to tackle a far more serious subject, but things look set to go back to normal next week. Check: The Walking Dead Season 7 Episode 10 Updates. Oliver as the Mayor of the City will come into action and tries to help ACU in arresting them. But, things would take a sharp turn when ACU intervenes but to arrest Oliver for murdering Detective Malone. In the meantime, deputy mayor Lance thinks himself responsible for their prison break. He feels that Warner may have heard him working with Damien Darkh. China White (guest star Kelly Hu), Cupid (guest star Amy Gumenick) and Liza Warner (guest star Rutina Wesley) break out of Iron Heights and head to Star City for revenge. Oliver (Stephen Amell) tries to bring in the newly formed girl gang, but the ACU intervenes mid-fight. To his surprise, they are there to arrest the Green Arrow for the murder of Detective Malone. Meanwhile, Lance (Paul Blackthorne) feels responsible for the prison break after Warner tells him she heard about him working with Damien Darhk. The promo video has been released and available now. Arrow season 5 episode 14 will air on February 22, 2017, at 8 pm ET on the CW. Stay tuned for more spoilers and predictions.